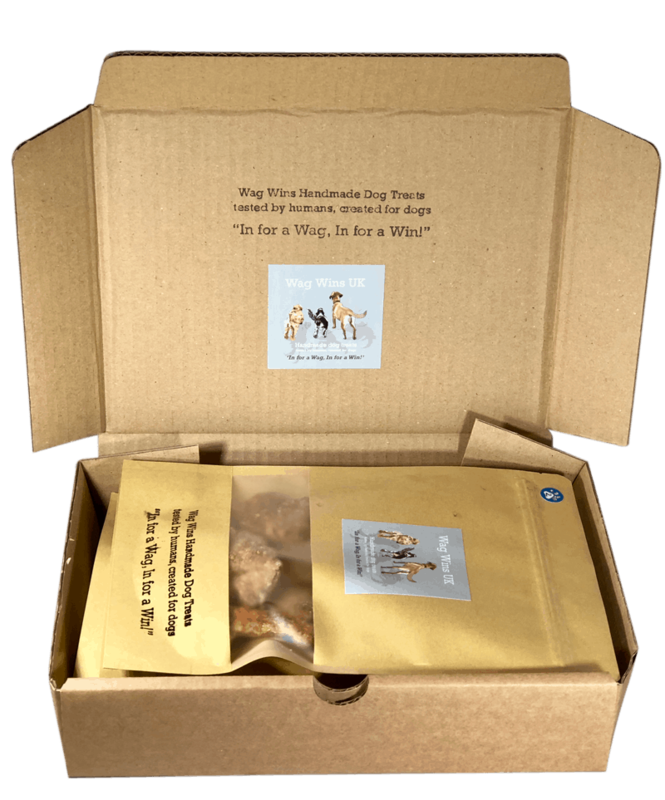 A Wag Wins Sample Box contains a selection of our treats (14), packaged and delivered straight to your door. All products made by Wag Wins are gluten-free, wheat-free, grain-free and lactose free. Products only contain natural ingredients and use no artificial colourings, additives or preservatives. That’s why Wag Wins is fresh, healthy and makes that dog’s tail wag!!! I ordered a sample box and my dog just loved every treat……especially the Honey and Oat Biscuits! Katie’s puts her passion for dogs into every treat. I never thought that I’d be the sort of dog owner who orders treats online for my dog, but I am so glad that I am now! Honey gets her daily treat (if she behaves!) and it has become part of her daily routine. They are all so healthy and homemade unlike so many other treats on the market. I bought a dear friend of mine a Sample Box as he just got himself a rescue dog. Not only have the treats helped Milo settle in, they are good for him and show him he is very much loved!